In the coming years, NASA has some bold plans to build on the success of the New Horizons mission. Not only did this spacecraft make history by conducting the first-ever flyby of Pluto in 2015, it has since followed up on that by making the first encounter in history with a Kuiper Belt object (KBO) – 2014 MU69 (aka Ultima Thule). Given the wealth of data and stunning images that resulted from these events (which NASA scientists are still processing), other similarly-ambitious missions to explore the outer solar system are being considered. For example, there is the proposal for the Trident spacecraft, a Discovery-class mission that would reveal things about Neptune's largest moon, Triton. 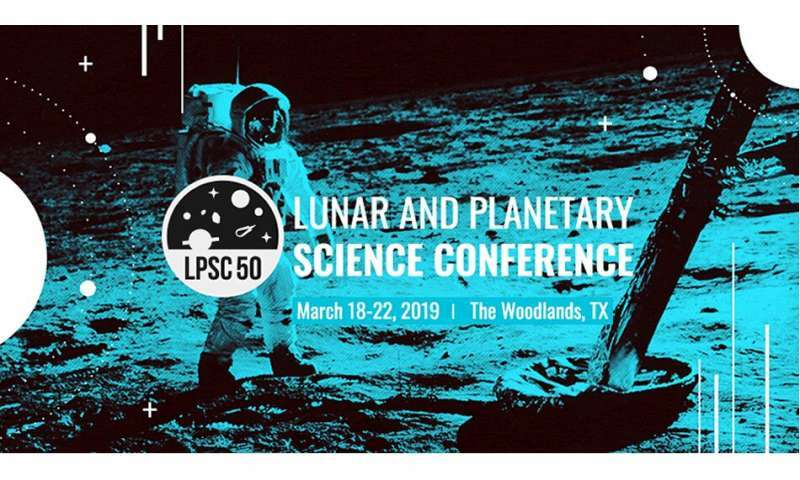 These findings were presented at the 50th Lunar and Planetary Science Conference 2019, which took place from March 19th to 22nd in The Woodlands, Texas. This annual conference allows planetary science specialists from around the world to come together to share mission proposals and the latest results from their respective fields of research. It was here that Karl L. Mitchell and his colleagues from NASA's Jet Propulsion Laboratory and the Lunar and Planetary Institute (LPI) presented their proposal for a cost-effective flyby mission of Triton. The idea calls for a spacecraft powered by a Multi-Mission Radioisotope Thermoelectric Generator (MMRTG) battery that would fit under the Discovery Program's cost gap. "New Horizons has effectively demonstrated the scientific value of fast flybys in the outer solar system. Trident's encounter with Triton will be similarly rapid, using remote sensing instruments with large apertures and high angular resolution sensors that operate millions to tens of thousands of kilometers before closest approach. Data is collected over several days around the encounter, and returned over the course of one year." This mission would launch by 2026 to take advantage of a rare alignment of the planets, which would allow for an efficient gravity assist with Jupiter and a flyby of Triton during an opportune time in its orbit. The timing would also be favorable because it would allow the mission to witness seasonal changes that are currently taking place on Neptune's largest moon. These changes are a result of Triton's tilted orbit around Neptune (~23°, relative to the equator), which causes one hemisphere to experience summer while the other experiences winter. When one hemisphere is experiencing summer, the frozen nitrogen, methane, and carbon monoxide on Triton's surface sublimates into gas, which thickens the atmosphere. When the seasons change, which happens every 40 years, this gas then freezes and descends to form ice on the surface again. The last mission to visit Triton was the Voyager 2 spacecraft, which conducted a flyby of the moon in 1989 when the planet was experiencing spring. When astronomers observed the moon in 2010 using the Very Large Telescope (VLT), they noted that the atmosphere thickened considerably. This was consistent with the change of seasons on Triton, which had passed the summer solstice by 2000 and then began to cool. By 2026, the southern hemisphere will be experiencing winter, which means that the Trident mission will be able to get a more complete picture of seasonal changes on the moon. In addition, the Trident mission will be able to witness Triton's plume activity and study it more closely. These plumes are the result of Triton being geologically active (unlike most moons in the solar system). This results in cryovolcanism, where liquid ammonia and nitrogen gas burst through the surface and send material to altitudes of up to 8 km (5 mi). Investigating these plumes will reveal things about Triton's subsurface environment, which is believed to harbor an interior ocean. Much like Europa, Ganymede, Enceladus, Titan, Ceres and other bodies in the solar system, this ocean is believed to be the result of geothermal heating at the core-mantle boundary. Combined with the presence of organic molecules, the presence of liquid water and energy could also mean that Triton is capable of supporting life. In this respect, a mission to Triton would be consistent with the goals set by the NASA Roadmaps to Ocean Worlds (ROW) group, which is overseen by the agency's Outer Planets Assessment Group (OPAG). The same holds true of the 2013 Planetary Decadal Survey, which prioritized the exploration of ocean worlds in our solar system in the hopes of finding evidence of life. Last, but not least, a mission to Triton would also help resolve ongoing questions about the origin of this mysterious moon. Currently, the most widely accepted theory is that Triton was actually a minor planet that was kicked out of the Kuiper Belt and captured by Neptune. Recent studies have also shown that its arrival likely destroyed Neptune's existing moons, the debris of which combined to form what we see there today. Clearly, one of the greatest accomplishments of the New Horizons mission is that it has renewed interest in the exploration of the outer solar system. After the historic Voyager missions passed beyond the orbit of Neptune, there was a bit of a lull as research became more focused on missions to low Earth orbit (LEO) and Earth's immediate neighbors. But by directing attention to the outer solar system with a number of missions planned for the next decade, we stand to learn more about the formation and evolution of the solar system. With any luck, we might even find telltale indicators of extra-terrestrial life, which will be the single-greatest discovery in the history of space exploration.